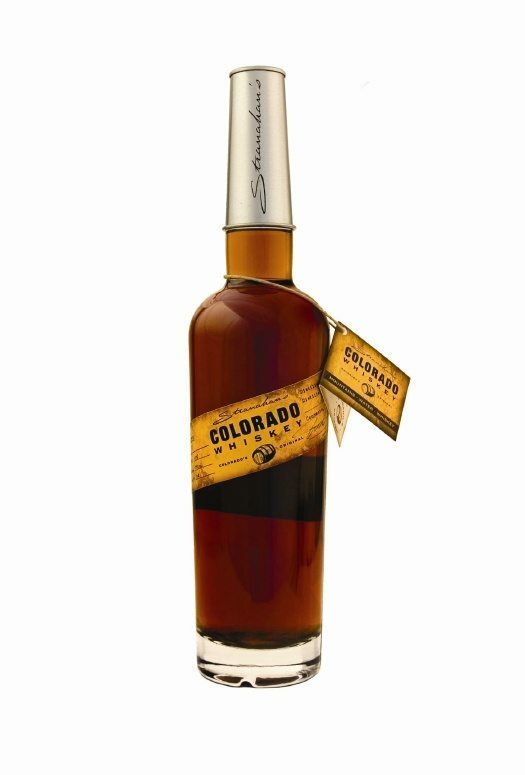 Stranahan’s Colorado Whiskey is distilled and bottled about 5 minutes from my house, so I thought it would only be fitting that it be the first of our new series: Tasting Notes. I finally made it down there last weekend for a tour. The companies roots started with 2 partners that met when George Stranahan’s barn caught on fire. Jess Graber, one of the firefighters and him got to talking about whiskey and long story short, they started Stranahan’s Distillery. The place is really, very small but they have bought the entire city block so luckily they have room to expand – and stay in Colorado. 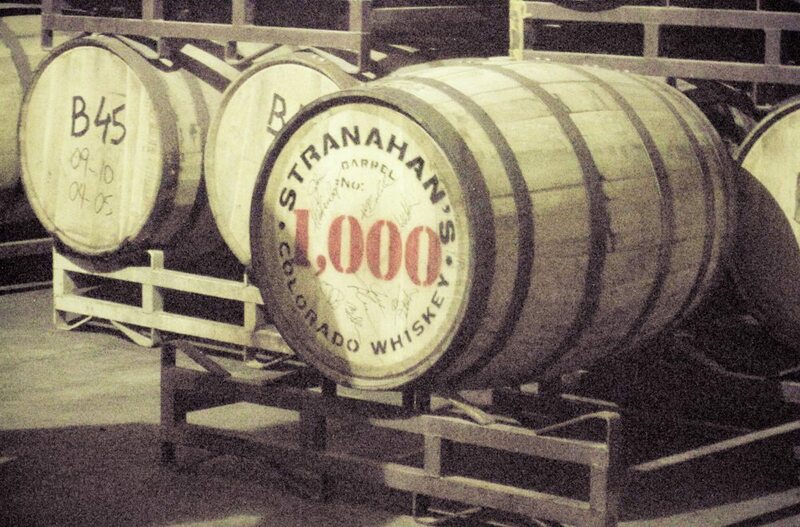 Eighty percent of Stranahan’s barley is grown in Colorado with the remainder coming from the Rocky Mountain region. Their water comes from mountain streams of the Rockies. The barley goes through a roller mill and into a 30 barrel mash-tun where the grain is mashed, sparged and transferred as a naturally maltose-sugar-rich liquid to the kettle where it is boiled before being filtered, cooled and transferred to one of four 60 barrel fermentation vessels. Once the fermentation is complete, the wash is then again filtered and transferred to distillery holding tanks. From the holding tanks, the wash goes into a custom made combination pot (scotch style) and column (bourbon style) still, made by Vendome Copper Co. of Louisville, Kentucky. It’s distilled twice and goes into new 52.8 gallon charred, American white oak whiskey barrels and they sit for 2-4 years. Then it goes to bottling which is all done by hand by volunteers (I’m on the list). They only make about 12 barrels a week. On a sad note they said that demand in Colorado is out stripping supply so they are cutting back to only distribution in Colorado. Not sure when that is happening. Stranahan’s looks harmless enough. It’s a bright, orange-hued spirit with a relatively mild nose that isn’t particularly hot, even though it’s 94-proof. Stranahan’s is a bit of a rarity among American whiskeys, distilled from 100 percent malted barley – the way the Scots do it. But, then it’s aged in charred, new oak barrels – just like in Bourbon country. The nose is very malty, as you might expect and also has some nice vanilla tones and a faint echo of the charred barrel and a faint whiff of leather. The alcohol is unobtrusive. Stranahan’s shows incredible maturity, considering it contains whisky as young as two years old. Quite smooth, too, with layered sweetness (honeyed caramel, English toffee, maple syrup), tangerine, roasted nuts, and peppered with spice (warming cinnamon, glazed ginger). Good grip of tobacco and polished leather on the finish balances the sweetness that comes earlier. It’s a true example of the right way to do artisan distilling. Stranahan’s is something wildly unlike any other whiskey on the market – it’s also quite polarizing. Some call Stranahan’s a masterpiece – I’m among them, but many a traditionalist has been less than thrilled with the spirit. I wouldn’t hesitate to recommend Stranahan’s, it’s one of the finest whiskeys I’ve laid my hands on, quite decently priced and incredibly mature despite it’s 2 year old upbringing. Also, if you have a chance and find yourself in Denver, I definitely recommended stopping by Stranahan’s for a tour and when you’re done stop next door at the Rackhouse Pub where they have some great eats and also have an absolutely delicious Dry Dock beer that’s been cask aged in used Stranahan’s barrels.